Translating AdWord campaigns is not as straightforward as translating your copy and activating your campaign. Although there are tools such as the Google Translator Toolkit that can help manage your multilingual AdWord campaigns, even Google recommend that they should be optimised and localised by a human translator. 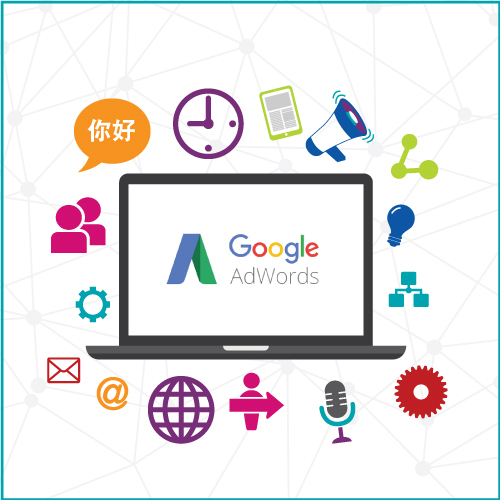 Any marketer or business owner who has used AdWords knows that although in theory it is easy to use and get campaigns set up, in practice there are many variables that can affect the success of the campaign. Not least keywords. Keywords are the words that your target customers type into the search page, which will trigger your ad to appear. Extensive research needs to be done to decide on the most effective keywords for your business, and budget. Popular keywords are in high demand and will make the cost-per-click more expensive. That’s why increasingly marketers use ‘long tail keywords’ that have fewer search volumes but will deliver more targeted prospects to your ad. Keywords can also be very location specific. Even here in the UK people search for different terms depending on their regional preferences. For example ‘astro turf’ gets more searches in the South East of England, whereas in the North people use ‘fake grass’ to find the same products. That’s why your keyword research for the UK market may not be relevant in an international market. Translating your keywords directly could affect the success of the campaign if consumers in your target market prefer to use different search terms. So the first step is to localise your target keywords for the market. Having identified the most appropriate keywords for your target market, product or services and budget, it’s time to translate your ad text. Ideally those same keywords should form part of this text, so that consumers can see immediately that your ad is relevant to their search. The text may also need to be localised for the market. A call to action such as ‘shop now’ or ‘learn more’ may not be appropriate or as effective as a different term. Native speaking marketing translators will be able to advise you on a more appropriate call to action and localise the text accordingly. Landing page – where next? Your AdWords campaign does not start and end in Google search results. Ultimately the aim is for consumers to see your ad and click on it. Where the link takes them is therefore equally as important, if not more so, as the ad itself. Landing pages need to be fully translated and localised for your target international market, again using the same keywords to ensure consumers know they’re in the right place and containing appropriate calls to action for that market. To find out more about how Comtec handle AdWord translations, or if you would like to know more about our marketing translation services or to speak to one of our team about your requirements, please get in touch.